Expect to see a group of talented dancers, musicians, singers and emcees co-create on the spot along with your help. 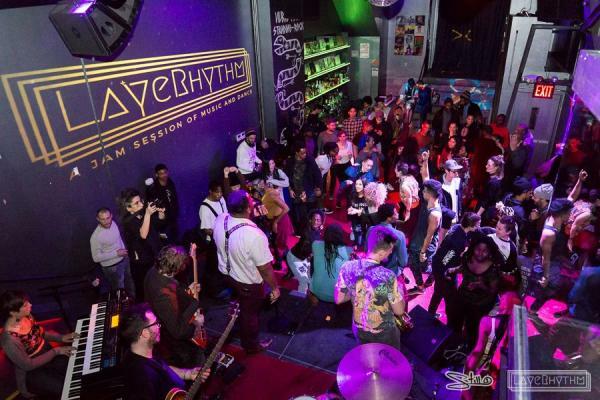 Created in March 2015, LayeRhythm is a cutting­-edge jam session that creatively layers live musicians & vocalists with freestyle dancers. With 20+ installments in NYC, the jam also took place in Philadelphia, Detroit and will be in Houston in the spring 2019.